Focusing on pre-war life, these categories help to give a picture of the community. Owned by Alfred Holt & Co, Liverpool. Leased in 1914 by the Commonwealth until 30 Jul 1917, after which time she was under the control of the British Admiralty. Was part of the 1st Convoy, carrying the South Australian 10th Battalion, and the 11th Battalion from Fremantle. Between 19 Apr and 12 May 1915 she was converted at Cockatoo Island Dockyard to transport 1,820 troops and 12 horses. Completed nine transport voyages from Australia. After the war she serviced the refrigerated meat trade between Australia and Liverpool, before being used again as a troopship during WW2. She was torpedoed on 30 Jul 1944 by U-621 while a member of Convoy EBC-54, in the English Channel south of Portsmouth while on its way to the Normandy beaches where it was to act as a depot ship. Despite being damaged, she was able to make it to port for repairs. 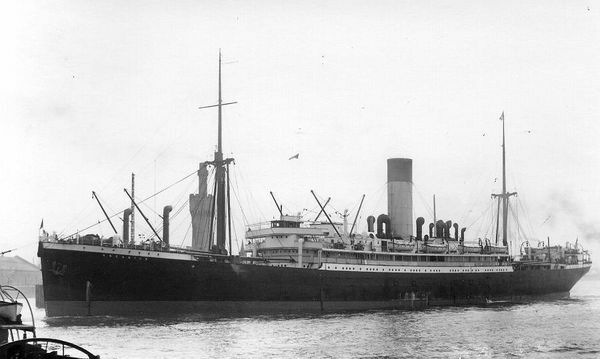 After WW2, the Ascanius carried Jewish emigrants from Marseilles to Haifa and was sold in 1949 to Italy and renamed San Giovannino. The plan had been to carry emigrants from Italy to Australia, but she had to be laid up due to her age and was broken up at La Spezia in July 1952. Sharing this voyage with our boys was the 7th Australian Field Ambulance, with many of them fated to get to know them better in Gallipoli and France. Fremantle to Port Suez 29 July 1915 - ?